These past few years, Muslim women have been dominating the workforce! America elected their first Muslim congresswomen, Vogue launched their first cover featuring a hijabi, and now, Afghan women are taking over the judicial side of their government! Afghanistan has been known to have a rough history with women’s rights in the recent past, but that is set to change! One of the most prominent, yet under-reported stories to come out of Afghanistan of late is that of Justice Anisa Rasooli, who has spent her entire career breaking down barriers. 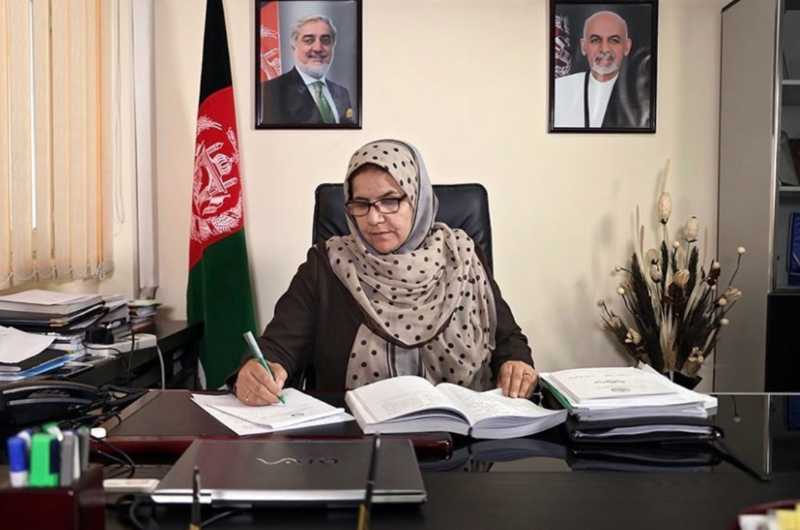 Her relentless efforts have led to this: Justice Anisa Rasooli is the first woman to occupy a seat on the Supreme Court of Afghanistan, ushering in an age where women have a shot at being a part of the narratives surrounding them. In a statement given to the UN Women organization, Anisa declares that when she began her career 23 years ago, the number of female judges in Afghanistan totaled 20. She became a judge one short year before the Taliban took over, which resulted in her having to give up her career and stay home. Despite this unceremonious sabbatical, Anisa is now prospering as one of the most prominent judges in her home of Afghanistan, whilst strongly advocating for the presence of more women in judicial positions. Happily, as of publishing, Afghanistan boasts 300 female judges, a number that, according to Anisa, is sure to encourage more woman to approach positions in the judicial system. A far cry from a time, Anisa continues, when there was stigma attached to a woman’s presence within, or even near, a judicial institution. Now, that’s the sort of representation we’re talking about! In her new position, Anisa states that her focus will remain on encouraging more woman to understand their rights, as well as the problem of illiteracy, security, and the need for economic empowerment. “Because they are not educated, many women do not know their rights. They think they have to accept violence. If they know that they have equal rights, they will not accept being hurt or beaten or burned! They will ask for help,” Anisa insists. With women like Anisa claiming their rightful positions in the Afghan judicial system, it wouldn’t be a stretch to find movements advocating for women in the workforce, and for general human rights becoming more widespread and efficient by the day. Currently, Anisa brings to light the support that has been offered for a comprehensive law she helped author, which tackles the various factors that contribute to women staying in violent situations. The law primarily focuses on the obligation of different ministries to provide protection through the collection of evidence, and the provision of free legal aid. With the establishment of fierce women like Justice Anisa Rasooli in a role as powerful as this one, coupled with the establishment of laws structured to offer women the rights bestowed upon them by Islam, we are thrilled to watch in awe as the women of Afghanistan continue to flourish.